Often times, dog bite victims suffer serious injuries and require significant medical care in order to treat those injuries. As a result, one of the biggest concerns for a person who has been bitten by a dog is whether the defendant has adequate insurance to pay for the victim’s damages. While every homeowner should have insurance that covers their dog, the reality is that many people don’t. And in too many cases, dogs that are not insured go on to bite someone on the property. Does Homeowners Insurance Apply In Dog Bite Cases? Yes, most homeowner insurance policies provide liability coverage in the event that the family dog attacks and injures someone. That being said, each homeowner's insurance policy is different and should be reviewed carefully before any assumption about particular types of coverage is made. If the dog's owner does not carry a homeowner's insurance policy, or if their homeowner's insurance policy does not provide liability coverage for a dog bite or attack, then it is extremely unlikely that the dog bite victim will be able to receive compensation for damages. 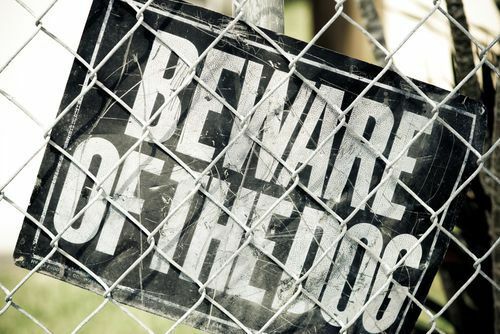 A homeowner’s insurance policy typically covers dog bite liability legal expenses up the the limit, which is usually $100,000 to $300,000. In serious cases where the damages exceed that amount, the dog’s owner is responsible to pay out of pocket. Some homeowner’s insurance policies do not apply to certain breeds of dogs (pit bulls, rottweilers, etc.). Other insurance companies may look at each dog on a case-by-case basis and determine if the dog is dangerous. And if a dog has bitten someone before — and it was documented — the insurance company may charge a higher premium, exclude the dog from coverage or choose to not renew the policy. Are All Dog Bites Covered by Insurance? Just because the dog owner has insurance doesn't mean that your particular dog bite will be covered. As with a car accident, pedestrian accident or any other personal injury case, the insurance company has the option to approve or deny your claim. If the insurance company doesn't feel your claim is valid, then will deny it. If they feel the bite doesn’t warrant compensation, they will deny it. It is totally up to the insurance company whether you will get any money after a dog bite. Hiring an experienced dog bite lawyer can go a long way toward securing your financial future. Our law firm gets calls from dog bite victims in Washington state nearly every single day. In situations where the victim has determined that the defendant does not have an applicable insurance policy, we are often asked, "Even if there is no insurance, can't you still sue the dog owner?" Technically speaking, the answer is yes, you can still sue the dog owner for the damages resulting from your injuries. The problem is, lawsuits cost money; in many instances, they cost a lot of money. And we’re not talking about attorney's fees, although that certainly adds to the cost of litigation. These costs may include filing fees, expert testimony fees, investigative costs, charges assessed to collect medical and other important records, costs incurred to create trial exhibits, and deposition and court reporter expenses. Even small cases can accrue costs of several thousand dollars. Since Washington state attorney ethics rules require that a client is always responsible for costs, an attorney has to be sure that the economic value of the case justifies the expected costs associated with litigation. If the dog owner denies having insurance coverage, you may still have a legal course of action to take. First, we recommend that you retain the services of an experienced dog bite lawyer in your area. These lawyers should operate on a contingency fee basis, meaning you owe them nothing until a settlement is reached. There are many reasons why hiring an attorney is a good move. First, those that hire an attorney receive on average 3.5 times more in settlement money than those that go it alone. 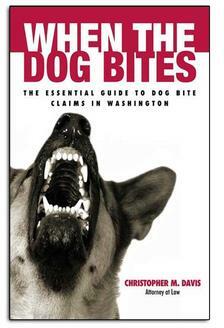 Second, it is common for dog owners to lie about their insurance coverage until they are sued. Once they are served with a lawsuit, they will “come clean” by disclosing their insurance information, or turning the case over to their insurance company and/or defense team. If there truly is no insurance coverage available to file a claim against, there is no guaranteed source of recovery. This means the client may be stuck with several thousands of dollars of costs, even if he or she wins at trial. The dog owner may offer an out-of-pocket settlement offer, but that may not be sufficient. Contrary to popular belief, a person who wins at trial will usually have to pay his or her own attorney and most of the costs. A win at trial only means you are entitled to a judgment against the person who is being sued. With a judgment, you can garnish a small portion of the person’s wages, or try to execute on the defendant’s personal assets. But there are costs associated with these collection efforts, and again, there is no guarantee that you will be successful in recovering money, or enough money to pay the attorney for his or her time and effort spent in the collection. To make things even more difficult, the collection process can take a lot of time and effort. The person who was successfully sued may also file for bankruptcy, which may wipe out the judgment or the debt, leaving the you with nothing but a worthless piece of paper. READ: How Do I Find The Right Dog Bite Attorney? Liability in dog bite cases can be tricky, and finding someone other than the dog’s owner who was legally liable for the attack can be key. The dog may be co-owned, and while one person doesn't have insurance, the other does. Or the dog may legally belong to an ex-wife or ex-boyfriend, and while that person isn’t in the picture, they are responsible for any damages the dog causes. Or what if the dog came from a shelter or rescue group that still technically owns the dog? Diving into the details of the rescue contract may shed light on who is responsible for damages. When there is no insurance available and a settlement isn't possible, victims can receive compensation through criminal restitution. Restitution basically means that as part of the criminal punishment, the convicted dog owner’s sentence will include a requirement that the victim’s medical bills are paid for. Compensation through restitution will not include pain and suffering damages. In most cases, non-economic damages such as pain and suffering are the largest portion of the settlement. As an added bonus, victims get to see that the dog owner is punished for what happened.